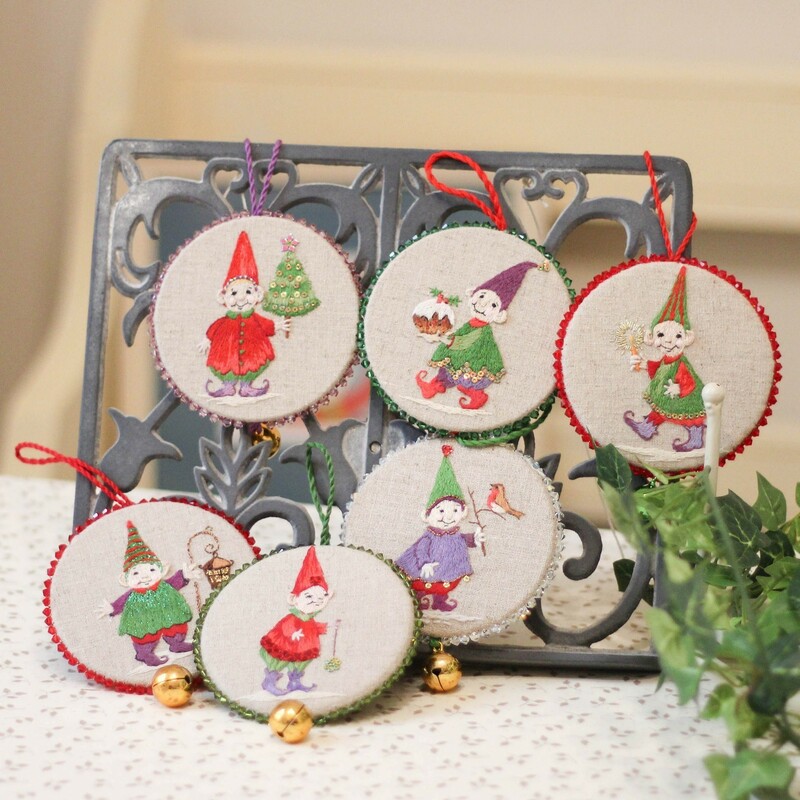 Santa’s Helpers are now available as individual kits – six different designs to choose from. 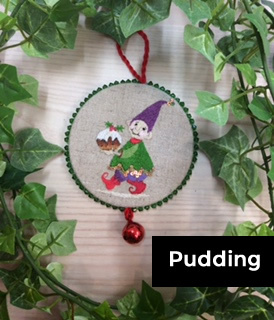 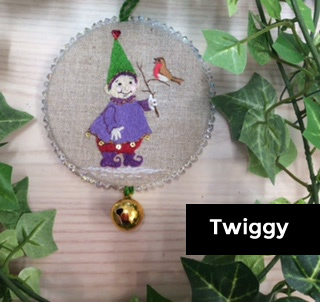 Christmas is sure to be much more fun if you decorate your tree or mantelpiece with these mischievous little fellows – all six of them dressed in their finest clothes bringing you all the things you need to have a perfect celebration! 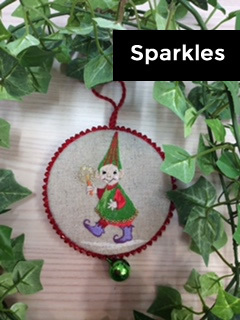 Jenny has used the best crystal beads to make sure each of your decorations sparkle and stand out even when the Christmas lights are off. Included in the kit are 65 Swarovski crystals for each of the six decorations (390 crystal beads). 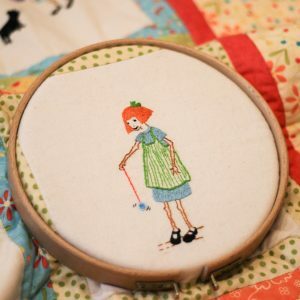 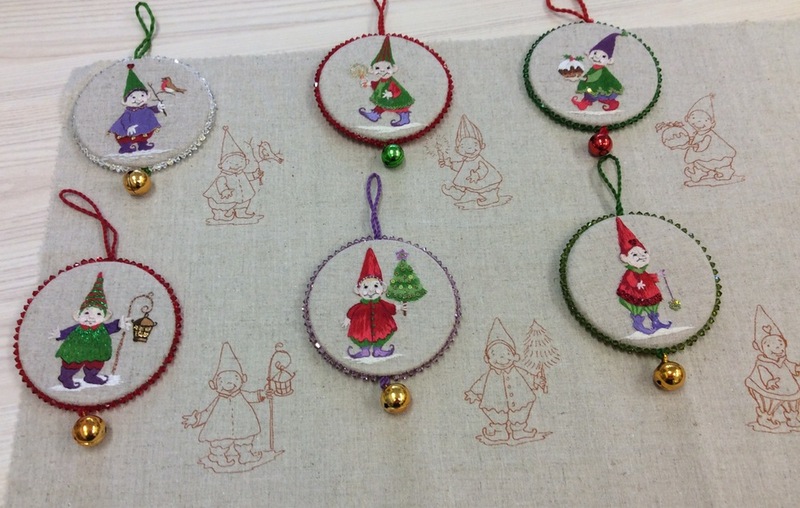 Also included in the kit is the pre-printed linen, threads, sequins, bells, needles and detailed instructions. Please note that the full kit will make up the set of 6 hanging decorations. 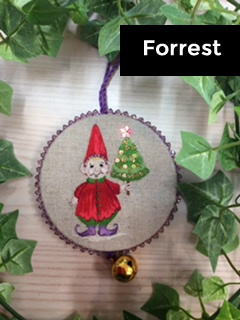 The six designs are also available as individual kits so if you only want to make up several decorations rather than the full set you may purchase them individually. 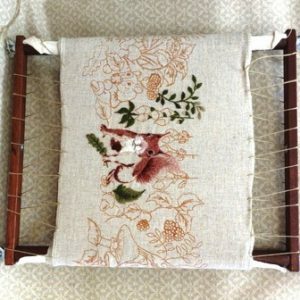 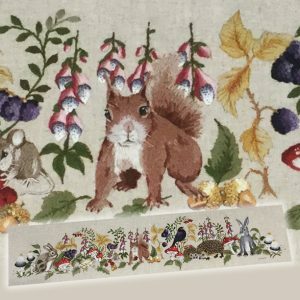 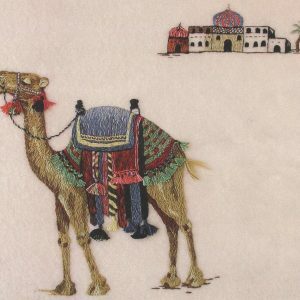 For those wanting to use their own choice of beads and colour theme the pre-printed linen featuring the six designs is also available separately – refer to the patterns section on this website. 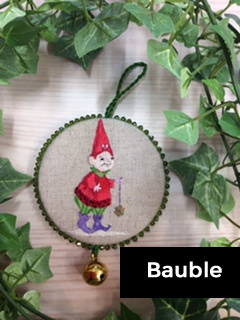 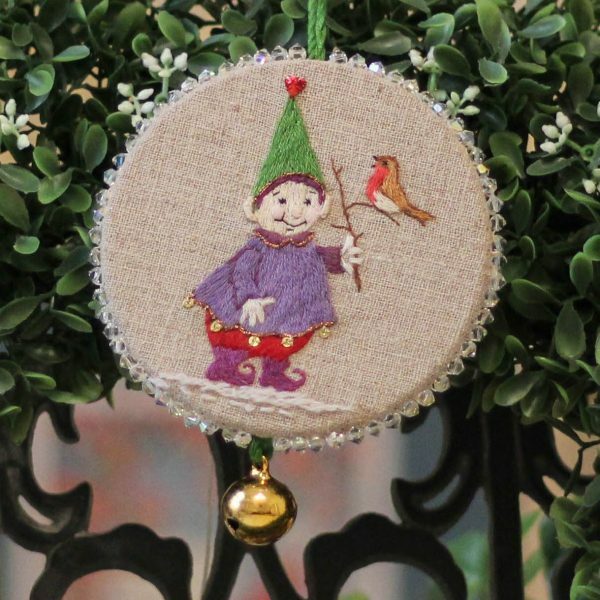 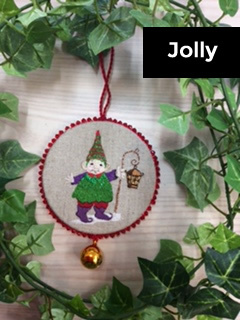 For those wanting to use their own beads or crystals to make up the set of 6 Santa’s Helpers as featured in the Inspirations # 92 magazine this kit contains the pre-printed linen, threads, sequins, bells, needles and detailed instructions.